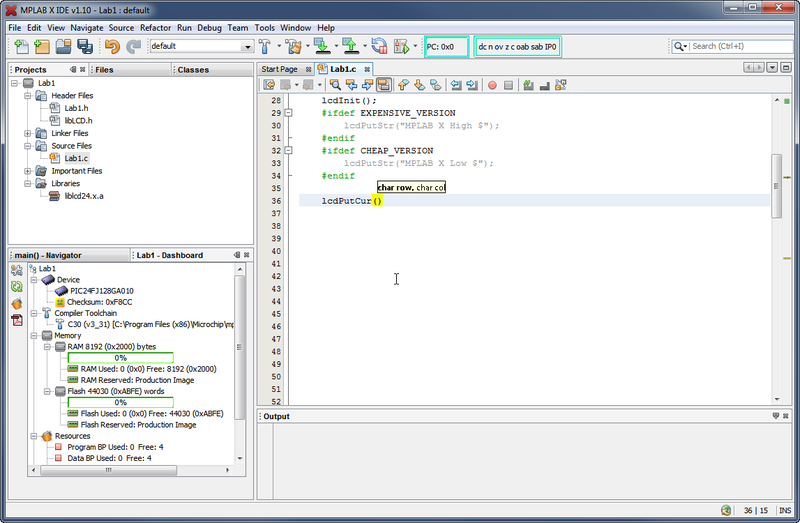 Code Assistance is a feature that analyzes the first few characters you have typed and provides a list of possible endings. 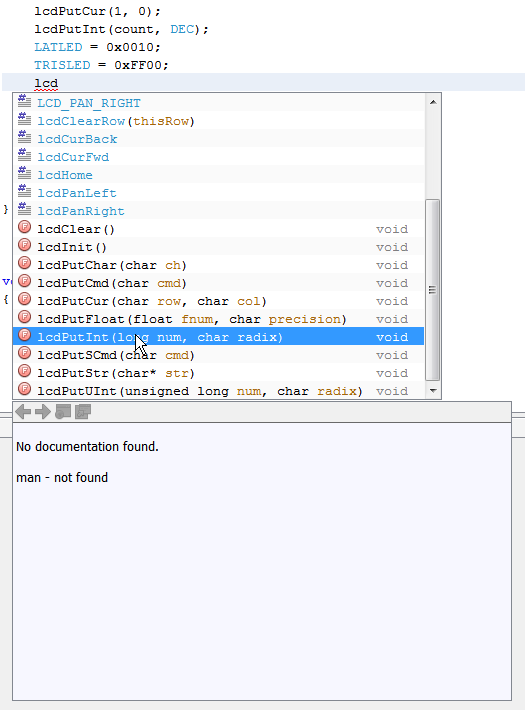 For example, if you are using a library with a series of functions that start with 'lcd', after typing in those letters, you will see a list of functions such as 'lcdInit()' and 'lcdWrite()' displayed for you to select from. In the editor, type in the first few letters of an identifier (e.g. variable or function name). Press the keys Ctrl+Space (you may need to do this twice). When activated, you will be presented with a list of all identifiers (macros, variables, functions, etc.) that start with those letters. Double clicking on any item in the list will add it to your code by completing the text you started to type in. Selecting an item in the list (single click) displays a documentation window that by default will have nothing in it. You need to provide the content for this window using specially formatted comments in your code. Once you have inserted a new function, a tool tip will appear to prompt you for any required parameters. If there are multiple parameters, the next one to be entered will be highlighted with bold text.